Yesterday, Dash decreased its block rewards by another 7.14%, which allows the network to mitigate inflation while also easing the transition to a fee-based network. Dash decreases its coin emission rate by 7.14% every 210240 blocks, which comes out to around every 383.25 days. This is compared to Bitcoin reducing its coin emission rate by 50% every 4 years, which is a much more steep adjustment and will release 99% of all Bitcoin by 2036, 99.9% by 2048, and approach 21,000,000 Bitcoin by 2140. However, Dash has a much more gradual adjustment that will allow time to develop network infrastructure, technology, and community for fees to self-sustain the network. Since Dash reserves a maximum of 10% of each month’s block rewards for the Treasury, only a range of total Dash in circulation can be calculated for 2254. That is a minimum of 17,742,696 DASH, assuming zero Treasury allocation, and a maximum of 18,921,005 DASH, assuming full Treasury allocation. 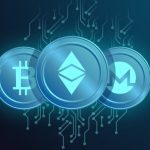 Most of cryptocurrency is built around economic incentives, such as miners being rewarded with coins to provide the computational power necessary to verify transactions, but cryptocurrency is also intended to offer transactions at near-zero costs to consumers, which causes an imbalance. The bridge between these two attributes are block rewards for creating new units of the currency until a maximum limit is reach to prevent run-away inflation. Since the number of coins allowed to be created are decreasing (“halving”) while hashing power is increasing, it is becoming exponentially harder and more costly to mine these new coins. The goal is that the reward for creating these new coins can seamlessly hand-off the reward incentive to the near-zero transaction fees as the network grows, which would make millions of near-zero fees profitable for miners that provide security for the network. One of the tools created for masternodes, whom share the remaining 90% of Dash rewards 50/50 with miners, shows that there will still be significant yearly returns on providing security to the Dash network. Before the most recent block reward decrease, the ROI per year was above 7%, but is now around 6.5% and expected to stay above 2% until around 2036. These returns will help supplement fees in the growing network until fees can self-sustain network transaction validation by themselves. Dash is not putting all its eggs into one basket since the network is constantly researching and developing new ways to improve transaction speeds, costs, and security. Most recently, Dash released automatic InstantSend, which leverages the masternode network to allow everyone to lock-in transactions in under 2 seconds for less than a penny. Additionally, Dash is developing ChainLocks as a new way to significantly mitigate 51% attacks by locking in the first block published to the network. ChainLocks hedges the risks of successful attacks on the Dash network if Dash’s block rewards ever become too low to incentivize enough miners and masternodes to maintain a significant hashrate. These improvements have been made possible by teams funded via the Treasury network that utilizes a maximum of 10% of each month’s block rewards. This also gives the Dash community more control since they can dynamically control the inflation rate of Dash by either releasing more or less Dash to different projects and teams that bring different opportunities to the network. Overall, these attributes of Dash help position the network for the long-term to become digital cash for everyday consumers making everyday purchases. This post was originally published on DashNews. Bitnewsbot curates, examines, and summarizes news from external services while producing its own original material. Copyrights from external sources will be credited as they pertain to their corresponding owners.